I love this riding horse coloring picture complete with saddle, bridle and reins. He is standing at rest waiting for his friend. This PDF prints to 8.5x11 inch paper. 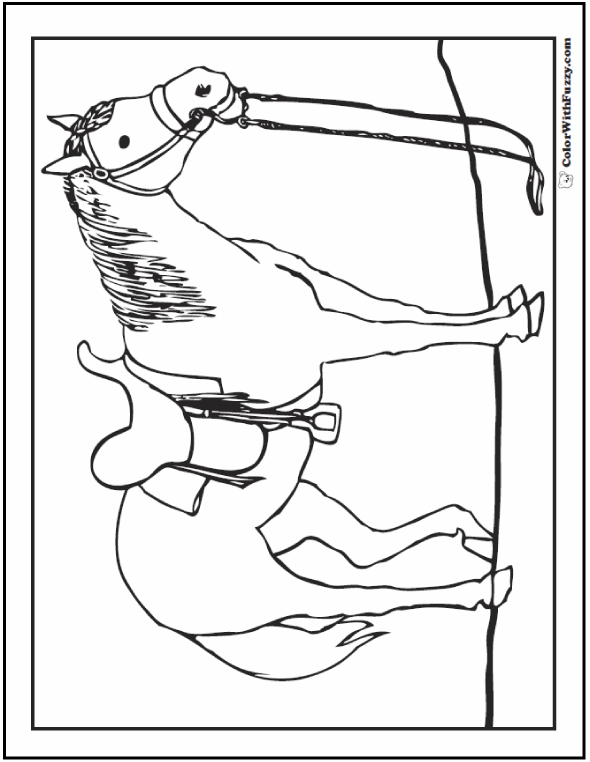 I love this coloring page of a saddle horse resting and waiting for his rider.